During the Liturgy of the Word (the first half of Mass) we hear a reading from the Old Testament, a reading from the Psalms, a reading from the New Testament, and finally a reading from the Gospel. This is the part of the Mass where we hear God’s word and we must ask him for his help in understanding what he is trying to reveal to us. The readings are very relatable to life and the psalms are especially useful in our own personal prayer life. The psalms are a book of prayer. The psalms can be used for more than just supplying the mass with beautiful songs. They are a perfect model for our own prayer life. The Book of Psalms is a compilation of 150 prayers that can be categorized into 5 groups: praises, thanksgiving, laments, royal and wisdom. They are directed toward God and they are a model of how to express ourselves and communicate with him. These prayers come from the Old Testament and it connects the Church today with the Church of the past. Humanity can come together in these prayers asking God for the same things and praising him together. It unites our hearts with the prayers of all the faithful from the very beginnings. You can relate to the psalms and feel as though you share something with the Old Testament Church. Sometimes praying seems very empty, or rote. However God knows our human frailty and in his mercy sent the Holy Spirit to teach us, “But the Helper, the Holy Spirit, whom the Father will send in My name, He will teach you all things, and bring to your remembrance all that I said to you” (John 14:26). The beautiful thing about the Psalms is that they are inspired by the Holy Spirit. If you are ever feeling lost in your prayer life, or at Mass you seem like the Responsorial Psalm is empty, ask the Holy Spirit to help you pray. The Psalms will come alive when you reflect on the transcendent power they contain. 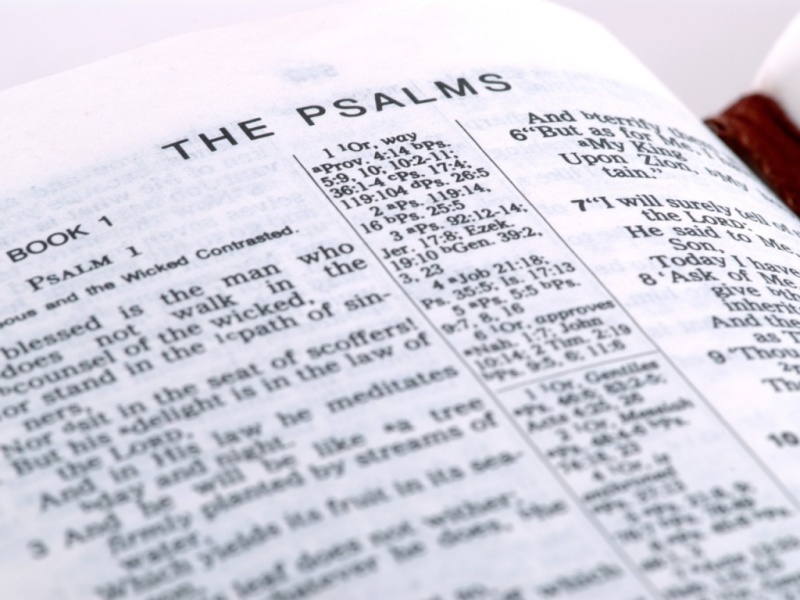 Some of the Psalms are basically 3,000 years old. However the desires and longings of man have not changed over the course of time, and therefore the Psalms are still relevant today. My soul waits for God alone. He alone is my rock and my salvation. Trust in him at all times, O people. Power and love belong to God. (Psalm 62). Why are you in despair, O my soul? And why have you become disturbed within me?